Water negatively affects insulation materials. They clump when soaked, losing their ability to resist heat transfer. Wet insulation will eventually dry out, but it will remain damp until water intrusion is stopped. Chronic roof leakage can deplete your attic insulation so much it can become ineffective sooner than you think. Mold loves moisture-ridden areas, which a leaky roofing system can help create. Beyond the unsightly appearance of its colonies, it can easily travel to your different living spaces through the ducts. Any gap in the ductwork can serve as a convenient entry point and distribution method for it to expand its territory into your home. If you have sensitive loved ones, a whiff of mold can trigger allergic reactions and a host of other health problems. It usually takes a while before leaks reach the floor, but it will happen eventually. If you have an active family, someone can get hurt badly by slipping on puddles. When the water comes into contact with live electrical wires, a fire can happen. Considering the decking boards and rafters are combustible materials, the flames can quickly engulf them. Even if you try to put it out, dousing an electrical fire with water is unwise. According to your roof installation experts and the Canadian Centre for Occupational Health and Safety, you might get seriously injured by using water, which is a good conductor of electricity. Treat any roof leak with a sense of urgency to avoid its costly dangers. 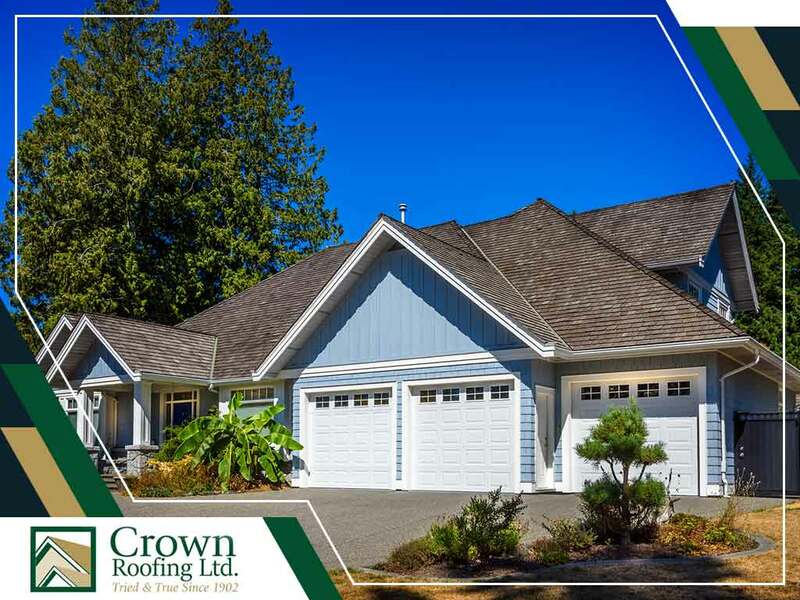 Call Crown Roofing LTD. at (604) 210-6655 to schedule an emergency repair in Surrey, New Westminster or any nearby area and receive a free estimate.